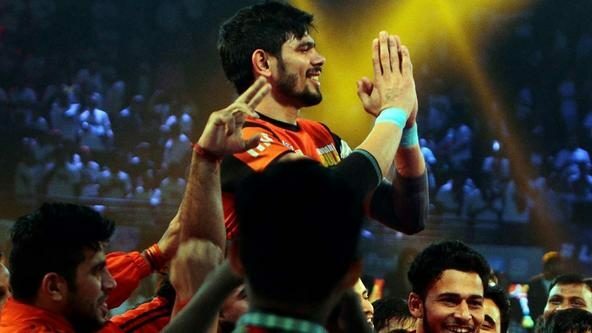 Another spectacular performance from Pawan Kumar Sehrawat helped Bengaluru Bulls to a 40-32 victory over Jaipur Pink Panthers at the Netaji Subhash Chandra Bose Indoor Stadium in Kolkata on Thursday. With this win, Bengaluru Bulls consolidated their place at the top of Zone B. The majority of the first half was a tight affair, with neither team letting the other get too far ahead on the scoreboard. The largest lead before the closing stages of the half was Bengaluru Bulls’ lead of a couple of points that came courtesy of a two-point raid from Sumit Singh. But the lead lasted barely a minute, as Selvamani K pinched a bonus point and Corner Sandeep Dhull tackled down Sehrawat to even the scores. 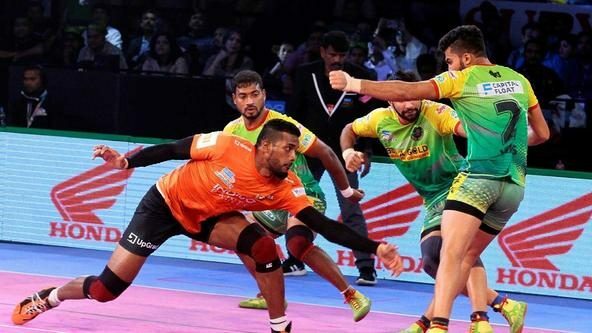 With the scores at 11-10 in Jaipur Pink Panthers’ favour, Sumit Singh got a touch point on Dhull which was followed by three touch points in two raids from Sehrawat that reduced Jaipur Pink Panthers down to just two men on the mat. 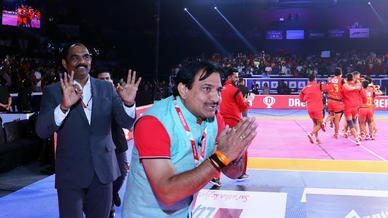 Jaipur Pink Panthers substituted Gangadhari Mallesh onto the mat, but Sehrawat managed to send the raider to the bench with a Running Hand Touch to reduce Jaipur Pink Panther down to just Deepak Niwas Hooda. 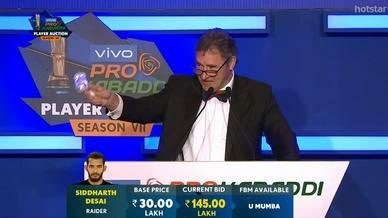 After allowing him the bonus, Sheoran got a Block on Hooda and the rest of the defence joined in to bring the all-rounder down and inflict the game’s first All-Out to give Bengaluru Bulls a 17-14 lead. Both teams scored a couple of points post the All-Out as they went into the half-time break with Bengaluru Bulls leading 19-16. Bengaluru Bulls started the second half on a bright note, as Sehrawat’s bonus point and a tackle point each from Sheoran and Ashish Sangwan put them up by five points. In the 6th minute, captain Rohit Kumar went in for a Do-Or-Die raid and, after the raider had ventured deep, a chain tackle from the opposite side tried to usher him out of bounds. But Kumar managed to stay inbounds and get across the midline to score the game’s first Super Raid and put his team up by eight. 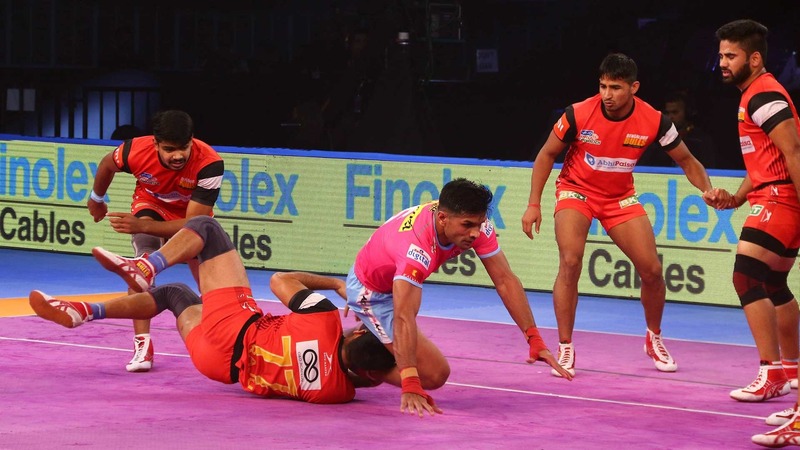 With Jaipur Pink Panthers down to just three, Kumar went in to raid yet again; but this time Dhull managed to tackle him to earn two points for his team. Selvamani K and Hooda added two more touch points to their team’s score as Jaipur Pink Panthers embarked on a run of five-straight points to close the gap down to three. 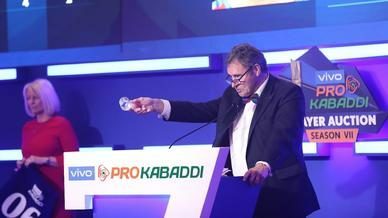 But a couple of two-point raids from Sehrawat and two tackle points from Mahender Singh helped Bengaluru Bulls take their lead back up to eight points and leave Jaipur Pink Panthers with just two men on the mat. Rohit Kumar dodged a Dash attempt from Santhapanaselvam and the defence made short work of the last man on the mat, tackling him and inflicting a second All-Out on Jaipur Pink Panthers to give Bengaluru Bulls a 36-26 lead. The next six points scored in the match were evenly split between Sehrawat and Hooda but they were tackled in quick succession by Lokesh Kaushik and Sangwan respectively as the clock kept winding down. Amit Kumar scored the final point of the match with a well-executed Dash on Rohit Kumar, but it was Bengaluru Bulls who took home the victory to confirm their place in Qualifier 1 against Gujarat Fortunegiants.